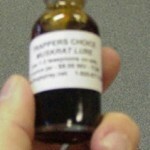 PRODUCT DESCRIPTION: Special muskrat scent which is used around trap sets which can lead muskrat to be caught quicker. Refer to our handbook for more information on how to use lure effectively. USE ONLY FOR LEGHOLD OR CONIBEAR SETS. WHERE TO USE IT: In and around traps, false dens, runs and feeding areas. 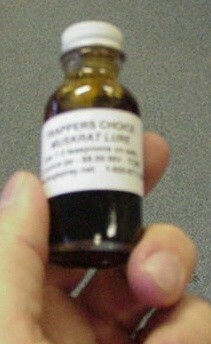 RATE OF APPLICATION: Generally, small amounts like teaspoons are enough for most sets.